A critique of the ADB’s June 2002 draft forest policy: ‘Forests for all and forever’. Sent to ADB President Tadao Chino, by Friends of the Earth International. Given this fundamental problem with ADB lending to the forestry sector, a new forestry policy might be welcomed, particularly if it set in place a regulatory system to ensure the protection of the region’s forests and its people’s livelihoods. A policy which was based on, for example, safeguards on Indigenous Peoples’ rights and mandatory environmental and social impact assessments for any project that has an impact on forests might at least be a start. As suggested by the sub-title of the draft forest policy, “Forests for all and forever”, the Bank and its consultants present an optimistic view of the ADB’s involvement in the forestry sector. For example: “The policy area where ADB assistance has had the largest impact is community-based natural resource management. Involving communities in forest resource development and management is important in light of the strengthened poverty focus of ADB” (ADB 2002: 2). Yet, in Laos, an ADB-funded “Industrial Tree Plantations Project” has supported a private company which has replaced community managed forests, swiddens and fields with monoculture eucalyptus plantations. Local communities have effectively been excluded from the management of their resources by the ADB’s forestry project. Walden Bello’s phrase “Goal Congestion” could well be used to describe the ADB’s June 2002 draft forestry policy. In a recent paper, Bello describes how Bank staff in the field are desperately trying to achieve the various conditions that shareholders have attached to lending in recent years: poverty reduction, social development, sustainable development, promoting women’s welfare, and good governance. The draft forestry policy likewise emphasises these conditions, yet the projects to be implemented are the same old technocratic interventions. The project names may change, of course. For example, Phase II of the ADB’s “Industrial Tree Plantations Project” in Laos, which is due to start this year, will be called “Tree Plantations for Livelihood Improvement”. Both projects involve establishing around 10,000 hectares of fast-growing tree plantations primarily for the pulp and paper sector. Yet in phase I the plantations were “industrial”, while in phase II they are to be miraculously transformed to “livelihood improvement” plantations. Bello quotes an anonymous senior staff member as saying “People are lost and bewildered, and most have no clue of how to even begin. . . . You have all these new goals, but the old baggage, the old goals, have not disappeared. You’ve somehow to get ‘women and development’ into the project design, and you get scolded if you don’t know how to sneak it in. The result is incoherence” (Bello 2002: 4). “The overarching goal of the new forest policy is to support DMC [Developing Member Country] governments to realize the full conservation and development potential of their forests, and maximize the impact of their forest sector investments on the reduction of poverty. This requires approaches along parallel tracks. One track needs to support measures to achieve the greatest possible forest based economic growth and social development within the constraints imposed and opportunities provided by the second track promoting environmental sustainability” (ADB 2002: 11). Some of the key concerns with the draft forest policy as it currently stands are outlined below, with questions for the Bank following each concern. An underlying assumption behind the draft forest policy is that ADB investment in the forestry sector leads to better management and reduced rates of deforestation. The draft policy states: “Investment is essential to the sustainability of the resource for the future, and can make a positive contribution in reducing poverty” (ADB 2002: 2). “There is an apparent reluctance of DMCs [Developing Member Countries] to borrow for forestry, which is probably related to their general perception that forestry brings low returns and does not justify an increase in their debt burden. The continuing degradation of the region’s forest resources is an indication that DMC governments give a lower priority to forestry matters than to other sectors of their economies” (Fraser 2000: 7). The fact that many of the ADB’s member countries have been mining the forests for decades, or allowing private companies to clearcut the forests, is not clear from either Fraser’s analysis or the ADB’s draft forest policy. Governments have devoted a great deal of attention to logging the forests. The Indonesian island of Sumatra, where vast areas of forest have been clearcut to feed pulp and paper mills and to export tropical hardwoods, provides a good example of how investment in the forestry sector has actually increased, rather than decreased, deforestation. “Because of the importance of intangible environmental benefits, the investment in many forestry projects will not generate cash returns in the future that can be used to service and repay loans” (Fraser 2000: 9). “It may be possible to devise mechanisms for creating markets for such services as carbon sequestration and clean water, while the insurance industry may be interested in paying to reduce the risks of damage to infrastructure and property associated with flooding and erosion where this can be shown to be related to forest cover or its removal. Therefore a package of measures including loans, grants and a series of Market Based Instruments (MBI) may be the most appropriate solution” (Fraser 2000: 9). Fraser assumes that communities would be happy to hand over their forests and land to act as carbon dumps for industry or to hydropower developers to safeguard reservoirs from soil erosion. “ADB will therefore promote regional consultations on carbon management, and will give priority to investing in projects where a positive contribution to carbon sequestration can be demonstrated” (ADB 2002: 19). The fact that the participants in the regional consultations may conclude that carbon management is based on corrupt science and will not benefit the people or forests in their countries is apparently irrelevant to the ADB. By giving priority to carbon dumping projects the Bank is prejudging the outcome of the consultations. Fraser’s argument appears, almost word-for-word, in the ADB’s draft forest policy: “The continuing forest loss and degradation of the region’s forest resources is an indication that DMC governments give lower priority to forests than to many other sectors of their economies” (ADB 2002: 4-5). Has the ADB produced an independent analysis of the overall impact of lending on the forests of the region? How does the ADB intend to deal with the possibility that increased lending – to industrial forestry projects, for example – will only accelerate deforestation? On what basis has the ADB decided that “carbon sequestration” projects will benefit the people and forests of the region? Has the ADB produced any studies on the impact of carbon projects worldwide? When Bank staff prepare a forestry project there is little incentive for them to carefully review the forest policy and check whether the project complies with the policy. Ambitious Bankers who want to progress within the Bank are unlikely to raise the potential problems that a proposed project will cause to indigenous peoples or local communities. Rather, they will play down any problems that a project might pose and aim to get large loans out of the Bank as quickly and with as little controversy as possible (Lohmann 1994). The ADB’s draft forest policy makes no mention of any incentives for Bank staff to apply the policy. Without such incentives, it is left to people from outside the Bank – civil society organisations and affected people – to raise the alarm when one of the Bank’s projects damages forests and people’s livelihoods. “absence of adequate planning and regulatory capacity, and failure to adopt competitive selection processes, has led to corruption, lack of transparency, and inefficient and unsustainable forest exploitation” (ADB 2002: 8). Yet there is no mention in the draft policy of how the Bank intends to address corruption in its lending. Corruption is rife in the forestry sector in the region. Neither is corruption a new issue for the ADB. The Klong Dan Wastewater Treatment Project, an ADB-funded project in Thailand, has been mired in accusations of corruption. A Thai government inquiry found irregularities in the land acquisition for the project and the Thai Prime Minister, Thaksin Shinawatra stated that given the numerous irregularities, the project contract should be void from the beginning. Because of their involvement in the project three high level Thai government officials have been transferred to inactive posts. Earlier this year Thaksin ordered that construction of the project (although 95% complete) should be stopped. What incentives will the ADB put in place to make sure that Bank staff ensure that the projects for which they are responsible comply with the Bank’s forestry policy? What procedures does the ADB have in place to implement the policy? Why does the forest policy not deal with the issue of corruption? How does the ADB intend to prevent corruption in Bank-funded projects that affect forests? As part of its forestry policy review, the ADB commissioned four case studies which looked at the ADB’s record in the Philippines, Pakistan, Bangladesh and Sri Lanka. The countries selected for the case studies are the top three and the eighth in terms of amounts lent. The Bank divides countries into resource-rich, transition and resource-poor. The case studies investigate two transition countries (Philippines and Sri Lanka) and two resource-poor countries (Bangladesh and Pakistan). There is no case study of Bank lending to resource-rich countries – a serious omission on the part of the Bank. In its publications, the ADB gives great importance to its Greater Mekong Subregion Programme which focuses on infrastructure development, trade, involvement of the private sector and environmental protection – all of which can have a major impact on forests. Yet no countries from the Mekong Region were included in the case studies. How were the four countries for the case studies selected? Why were Indonesia, Papua New Guinea and China excluded, for example? Why were no countries from the Mekong Region included? According to the ADB, the 1995 policy “recognized the link between forestry, the environment and poverty” but “the emphasis was very much on the forests and the need to manage them, as opposed to determining what role the forests can play in improving livelihoods and human welfare, enhancing economic development, and reducing poverty” (ADB 2002: 1). Yet, in many ways, the June 2002 draft forest policy is a step backwards from the 1995 policy. The main areas are outlined below. “The Bank will not finance any rural infrastructure or other public investment project that contributes significantly, directly or indirectly to deforestation or the degradation and depletion of forests. . . . The Bank will not support construction of roads in old-growth forests” (ADB 1995: 16). Of course, the definition of what “significant” deforestation or degradation of forests is crucial – and is left undefined in the Bank’s 1995 policy. The policy was further weakened by the following sentence: “Should any such deforestation or degradation become inevitable, the Bank will insist upon a compensatory mechanism to reforest or rehabilitate equivalent areas as appropriate in full consultation with affected communities” (ADB 1995: 16). The Bank does not explain what the word “inevitable” means in this context, neither does it explain who is to decide when deforestation is inevitable and when it might be avoided. The 1995 policy made an Environmental Impact Assessment compulsory for any project that might affect forests: “Prior to considering any project proposal that could have adverse environmental impacts on forests, the Bank will complete and EIA of the proposal in accordance with the Bank’s standard procedures with the involvement of the concerned agencies” (ADB 1995: 25). The June 2002 draft forestry policy does not explicitly apply to all ADB lending. No mention is made in the draft of the impact of infrastructure projects on forests. No mention is made in the draft of environmental impact assessments. Earlier this year, the ADB announced on its web-site that it would be funding a “Power Sector Development” technical assistance project in Laos. A major part of the US$1.4 million project will be an evaluation and due diligence study of the proposed Nam Theun 2 hydropower dam in Laos. Despite the project’s massive impacts on forests, including clearcutting the proposed 450 square kilometre reservoir, under the terms of the draft forest policy the Bank will have no obligation to consider whether the Nam Theun 2 project complies with its forest policy. The fact that Bank staff or its consultants may consider the forest policy in evaluating the project is not the point – the point is that the decision whether to consider the forest policy in a “non-forestry” project is left up to Bank staff rather than explicitly stated in the policy itself. The draft forest policy states: “In natural and semi-natural forests ADB gives greater emphasis on the habitat and environmental functions of forests, but not necessarily to the exclusion of production.” (ADB 2002: 1). The words “greater emphasis” and “necessarily” are crucial here – the draft forest policy does not prohibit logging, dam-building, road-building, or any other infrastructure from any of the region’s forests. Instead, the draft policy puts the onus on borrowing governments and states that “stakeholders” are to “establish policies, institutions, and mechanisms for dealing with inter-sectoral issues that affect forest resources and their development and management” (ADB 2002: 12). Will the ADB’s forest policy be applicable to all ADB lending that may affect forests or only to lending to so-called forestry projects? If it is to apply to all ADB lending, why is this not explicitly stated in the draft forest policy? Under the new forest policy, will an environmental impact assessment be mandatory for ADB projects that affect forests, as it was under the 1995 policy? When implemented, will the forest policy be binding? An ecosystem with a minimum of 10 per cent crown cover of trees and/or bamboos, generally associated with wild flora, fauna and natural conditions and not subject to agriculture. Stands of trees raised for the production of industrial forest products (for example: sawlogs, veneer logs, pulpwood, poles). Raising trees of a single species, generally even-aged in a plantation, as opposed to a large number of species of trees found in the natural forests or in a mixed plantation. The replacement of trees in cut-over forest areas” (ADB 1995: iii). While we may disagree over the details of some of these definitions, at least we know what the Bank is talking about when it uses the words “forest” and “plantations”. But in the June 2002 draft forest policy, the Bank does not define any of the terms it uses. This leads to serious problems, such as the failure to differentiate between “forest” and “plantations”. Will the final version of the forest policy include definitions of the key words to be used in the policy? Who will arrive at these definitions and by what process will the definitions be agreed within and outside the Bank? In a section titled “The Issues”, the ADB’s 1995 forest policy described what the Bank considered to be the main causes of deforestation and forest degradation. The introduction to the 1995 policy stated: “There is increasing evidence that the biggest threat to the tropical forests of the region is uncontrolled fuelwood collection and unsustainable agriculture. Such forest degradation, however, is initiated in the first instance by unsustainable logging, which also continues to be a widespread practice in the region” (ADB 1995: 3). In the June 2002 draft policy, the Bank does not explicitly state what it believes are the main threats to the forest. Instead, in a section titled, “Challenges for forests and forestry in Asia and the Pacific”, the Bank highlights: overall demand for forest products and services; forest governance; preservation and protection of the environment; and integrated natural resource management. In discussing demand, the draft policy states, “The imbalance between supply and demand in the region has already led to serious over exploitation of much of the region’s natural forests, and this has a very negative impact on biodiversity and the environment” (ADB 2002: 6). The Bank does not ask whose demand is being met, and does not mention the fact that timber, wood chips, pulp and paper are exported from the countries of the region – to meet the demand in Europe or North America, for example. In its 1995 policy on forestry, the Bank acknowledged that “Excessive and destructive logging is widely prevalent in DMCs [Developing Member Countries], often exceeding sustainable annual yields. In many cases, governments have allowed unsustainable logging in order to encourage the timber trade, support industry or earn foreign exchange for economic development” (ADB 1995: 8). “In many DMCs, the traditional role of the private sector in forestry has been in the exploitation and processing of timber, and this has generally been associated with rent seeking and disregard for social and environmental issues” (ADB 2002 23). Yet elsewhere the draft forest policy claims that the problem is too little private sector involvement: “failure to create an enabling and attractive governance and investment environment has discouraged private sector involvement, which is crucial for success in many aspects of forestry” (ADB 2002: 2). In the June 2002 draft forest policy, the Bank differentiates between legal and illegal logging. For example, the Bank’s new policy states, “When illegal logging follows after selective logging by authorized operators, regeneration is disturbed, species composition is altered, and the susceptibility to fire is increased in the drier and more open conditions that result” (ADB 2002: 6). Certainly “illegal logging” is a cause of forest destruction, but the Bank’s draft forest policy includes no discussion of the fact that logging concessionaires (in Cambodia, for example) are themselves responsible for systematic illegal logging. The Bank’s 1995 policy stated: “The construction of roads in or through forest lands by legal concessionaires, public highway departments and other public investment programs (dams, railways) provides increasing access to forest lands for humans and livestock” (ADB 1995: 8). Unfortunately in the June 2002 draft forest policy, there is no acknowledgement of the problems that road-building creates for people and forests. Instead, the draft policy states: “The improvements of rural infrastructure, especially roads and communications, have a major beneficial impact on poverty reduction” (ADB 2002: 19). The policy contains no acknowledgement that the construction of roads can lead to increased deforestation. Roads can also have negative impacts on communities, as roads open new areas to cash crop developments, leaving communities vulnerable to the vagaries of international market prices. The Bank’s draft forest policy does not acknowledge that road construction is linked to the spread of diseases or that the benefits of roads tend to go to traders and the better off, rather than the poorest people in communities. The impacts of other large-scale infrastructure projects, such as hydropower dams, are not mentioned at all in the new policy. Will the final forest policy include a section on threats to forests and how the Bank proposes that these threats might be addressed? Because of the particular importance of forest to Indigenous Peoples it is of crucial importance that ADB’s forest policy addresses and secures Indigenous Rights. 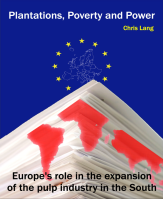 “Most forest land is nominally state owned, but because this has different meanings to different stakeholders the effect often is ‘open access’. This leads to conflicts over rights of access to and use of forest land, in particular for indigenous communities and other disadvantaged groups whose poverty is linked to lack of access to resources and development opportunities. Hence, legal reform is essential to institutionalize new directions taken in forest policies in many countries of the region” (ADB 2002: 3). However, rather than ensuring that the rights of Indigenous Peoples are protected by the Bank’s forest policy, the June 2002 draft forest policy refers to its policy on Indigenous Peoples: “ADB has developed a range of policies on crosscutting themes such as environment, indigenous people, resettlement, and gender as well as sector policies that guide ADB in the planning and implementation of its assistance. Future assistance to the forest sector will need to actively take into account these policies and strategies” (ADB 2002: 12). The draft forest policy makes clear that if a proposed project does not comply with the policy on Indigenous Peoples, the project will be cancelled: “Applying the safeguard policies can mean that proposed interventions will be cancelled due to noncompliance with the safeguard policies” (ADB 2002: 12). What is less clear is who will decide whether the project complies or not and how this decision will be reached. “Appropriate stakeholder participation and involvement is essential at all levels of forest sector activities, from policy formulation to field implementation to ensure that the activities are consistent with their needs and that the benefits are equitably distributed. In particular stakeholder groups that are directly dependent on forests for their livelihoods, including many traditional tribal and ethnic groups, or whose livelihoods are affected by forestry activities, must be provided with the opportunity to influence decisions that will impact upon them” (ADB 2002: 23). However, the Bank does not discuss how such consultation might take place in countries where the government does not tolerate dissent, where there is no free media, or where the rights of forest dwelling communities and Indigenous Peoples are not recognised. This is unfortunately the case in several of the countries to which the ADB lends money. “A wide range of private sector enterprises that are not traditionally associated with forestry have interests that overlap with the sector, including tourism, pharmaceuticals, fragrances and flavors, energy technology, transportation, communications, water management, and agribusiness for fruit and other edible forest products. Such established companies have the potential to enter partnerships with small rural enterprises, to help with training in business skills, access to markets, and to underwrite enterprises to assist with access to credit. ADB will therefore use its contacts and influence with the private sector to promote the establishment of such partnerships” (ADB 2002: 19). “ADB will use its capacity as a convener to promote the participation of a wider range of private sector companies and civil society organizations in cosponsoring investment in the forest sector, especially in nontraditional fields like ecotourism and bio-prospecting. For private sector companies, this applies particularly to their technical know-how and financial management” (ADB 2002: 23). The reference to pharmaceutical companies and bio-prospecting is of particular concern, especially since the draft forest policy contains no explicit statement on safeguarding communities’ and Indigenous Peoples’ rights over their biological resources and traditional knowledge such as herbs, medicines and knowledge of the plants in the forests. Will the final forest policy include explicit protection of Indigenous rights, as well as referring to other Bank policies? What recourse do Indigenous People (or other communities) have if an ADB-funded project is in breach of the ADB’s forest policy? How does the Bank define the stakeholders to which it refers? For example, the draft policy states: “Where required, regulatory reform may precede an investment package. ADB will secure stakeholder and government agreement in principle on the scope of envisaged reforms prior to the start of project implementation” (ADB 2002: 17). The Bank is proposing changes in the laws of the countries in the region as a condition of loans to the forestry sector. Rather than the changes resulting from civil society discussions and democratic processes within these countries, the Bank will “secure agreement” to its proposed changes in a country’s law. How will the ADB deal with situations where local communities or Indigenous Peoples reject categorisation as ADB stakeholders? How will the Bank ensure that Indigenous Rights over biological resources and traditional knowledge are upheld and that the principle of “prior informed consent” is applied to Bank lending? The ADB states that access to forests and land is an important issue to be addressed in the forestry policy: “the most important issue that affects forestry in most DMCs is the use of land and land tenure” (ADB 2002: 7). However, the Bank continues, “With land largely monopolized by the government, and by big private landowners and influential rent seekers especially where there is still forest to log, its value is highly distorted, leading to theft in the form of ‘illegal’ occupation, inefficient use and degradation. Inefficient use of much land is generally at the expense of the forests, because it is easier to clear forest than to rehabilitate degraded land” (ADB 2002: 7). The language here is vague. When the Bank refers to “theft” and “‘illegal’ occupation” of forest land, this presumably includes villagers living in forests that governments has declared forest land or national park and therefore out of bounds to villagers. For example, in recent years, Karen villagers in Mae Ning Nai in northern Thailand have seen their forests and land labelled “Watershed Class 1A” by the Royal Forestry Department. In the eyes of the state (and apparently the ADB) the villagers have become “illegal occupiers” of the land they have lived in for more than 100 years (see Pingkaew 2001: 130, 137). Instead of attempting to ensure rights to land, the Bank’s solution is to give companies the right to buy or rent the land from villagers, in order that they can log the forests: “If tradable leasehold titles were awarded to the occupants of ‘forest land’, it would enable government to retain mineral rights but would allow the occupants either to sell their leases to raise cash, use them as collateral for loans or negotiate rental income from enterprises interested in harvesting the forest” (ADB 2002: 7). Since 1984, the World Bank has funded a Land Titling Programme in Thailand. At a cost of $183.1 million, the project is one of the largest land titling programmes ever funded by the World Bank. According to recent research by the Northern Development Foundation, a Thai NGO, the project “illustrated the problems inherent in the simplification and commodification of rural land tenure arrangements” (Leonard and Kingkorn 2002: 14). The research indicates that although it was intended to alleviate poverty, the project has ended up transferring large areas of rural land to wealthy investors and land speculators and has cause widespread rural conflicts over land. How does the ADB intend to uphold villagers’ rights to land and forest and to protect these rights, for example from predatory logging companies or plantation companies? How does the ADB propose to recognise the complex patterns of land tenure that exist throughout the region, including common land? Has the ADB commissioned any independent research into land titling programmes in the region? What sort of land titling or land reform projects has the ADB been involved in? How have other ADB projects affected land tenure? What are the indirect effects on forests? 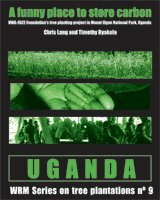 Between 1980 and 1999, the Bank funded 33 forestry projects with a total value of almost US$1 billion (Fraser 2000: 5). 81 per cent of the financing went on the establishment of plantations through projects in Bangladesh, Indonesia, Laos, Malaysia, the Philippines, China, Sri Lanka (Fraser 2000: 29). 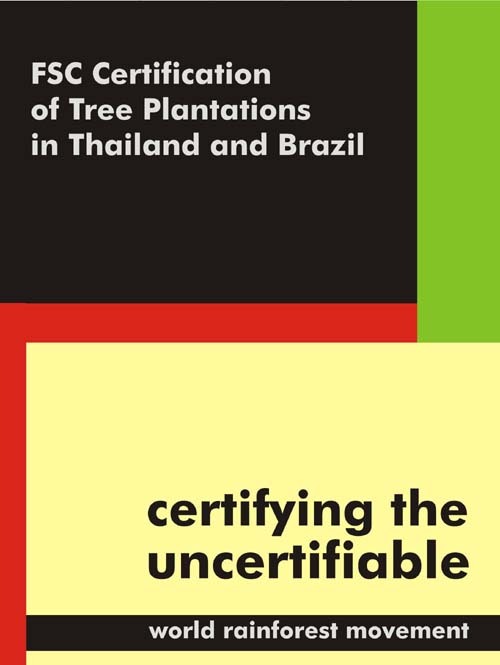 The total target area to be planted was more than 1 million hectares, 775,000 hectares of which were to be commercial plantations (Fraser 2000: 29). 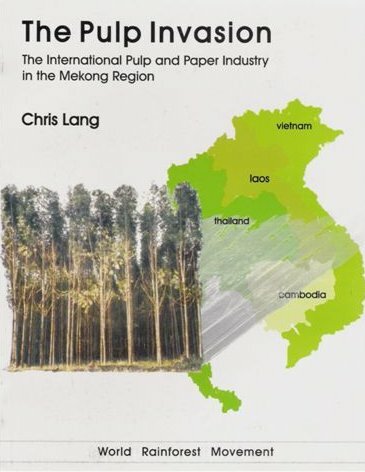 In its 1995 policy on forestry, the Bank was enthusiastic about promoting plantations: “Specialized tropical hardwood requirements for pulp, paper and panel products . . . can be met on a sustainable basis by tree plantations, organized by the private commercial sector or by small holder farmers/rural communities if tenureship and price issues are appropriately addressed” (ADB 1995: 9). “The role of plantation forests as sustainable and environmentally sound sources of renewable energy and industrial raw material must be recognized. Their contribution to the maintenance of ecological processes to offset pressure on old-growth forests and to provide regional employment and development with adequate involvement of local inhabitants should be recognized and enhanced” (ADB 1995: 14). The 1995 policy also states: “The Bank will encourage the establishment of fast-growing, high yielding industrial and fuelwood tree plantations of softwoods and hardwoods in selected degraded forests and grasslands” (ADB 1995: 21). The ADB appears optimistic about the impact that its plantations have had on the people and forests of the region. The June 2002 draft forest policy states: “Although limited, ADB’s strategic focus on supporting plantations has to some extent been successful in reducing the overall rate of forest loss” (ADB 2002: 8). No evidence is given in the draft policy for this comment, or how supporting plantations has been successful in reducing the overall rate of forest loss. Despite what the Bank describes as the “successful” support to plantations, the draft forest policy points out: “ADB projects focusing on subsectors such as plantations or afforestation are decreasing in number” (ADB 2002: 19). The draft policy puts little restriction on where plantations can be established. In a section titled “Definition of Forest Sector and Forest Management” the draft forest policy states: “In natural and semi-natural forests ADB gives greater emphasis on the habitat and environmental functions of forests, but not necessarily to the exclusion of production. The reverse applies to plantations and cultivated trees” (ADB 2002: 1). It is worth spelling out what “the reverse” would actually be: In plantations ADB gives greater emphasis on production, but not necessarily to the exclusion of habitat and environmental functions. Nowhere does the Bank attempt to explain what the word “necessarily” is to mean in this context. Neither does the Bank discuss the question of who will define what is and is not “necessary”, and for whom it is “necessary”. The draft policy includes no safeguards about converting forests to plantations, unless the plantations are intended to “sequester carbon”. In this case, the draft forest policy states: “[I]nvestments in carbon sequestration need to include the use of multiple species rather than monocultures, and natural forests should not be cleared to replant plantations designed to sequester carbon. Instead, the existing natural forests should be managed to enhance their value for carbon sequestration” (ADB 2002: 9). Instead of establishing safeguards to protect forests, fields and villagers’ livelihoods from the threat of monoculture plantations, the draft forest policy expresses the hope that the Bank will soon be in a position to increase lending to plantations projects. In a section on changes in production and consumption patterns that may occur over the next few decades is the statement: “Increasing raw material prices will make investment in plantations more attractive. The decline in the supply of raw material from natural forests will be partially offset by an increase in plantation grown wood” (ADB 2002: 6). A table explains that the Bank hopes to reduce poverty through environmental sustainability by “Promot[ing] sustainable Forest Management (SFM) and plantations to reduce forest degradation” (ADB 2002: 14). The draft forest policy does not include any explicit mention of genetically engineered (GE) trees. It does refer briefly to biotechnology, and in February 2002, Javed Hussain Mir of the ADB, in a presentation at a workshop in Manila on the proposed forest policy said, “Application of biotechnology in forestry will increase to address seed and plantation productivity concerns” (Mir 2002: 7). The draft forest policy includes no mention of the risks associated with GE tree plantations or of any safeguards that the Bank might put in place before funding projects involving GE trees. Does the Bank propose to differentiate between plantations and forests, in its forest policy? Will the difference be clearly expressed in Bank statements on forest cover in countries to which it lends? Will the final forest policy include any safeguards against converting forests to plantations? Has the Bank studies the effects of its plantation projects on local societies and their use of land and forests? What lessons has the Bank drawn? What is the Bank’s position on genetically engineered trees? 1978: Working paper on the role of the ADB in Forestry and Forest Industries Development. 1989: Sector Paper on Forestry. 2000: The Bank started its forest policy review in June 2000. A Forest Sector Working Group within the ADB guided the review process. The ADB commissioned four case studies which looked at the ADB’s record in the Philippines, Pakistan, Bangladesh and Sri Lanka. ADB also carried out a review of existing forestry project loans, a review of policies that overlap forestry (including water, environment and rural development). 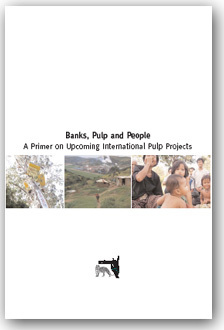 In October 2001, the Bank held a “final consultative workshop” on the Philippine case study. There were 36 participants. In February 2002, the ADB held a “Regional Study on Forest Policy and Institutional Reforms and Regional Workshop on the Review of ADB Forest Policy,” at the Bank headquarters. In June 2002, the Bank published a draft forest policy, although this is not available on the ADB web-site. “will include key staff in ADB involved in projects in the forest sector. The objectives of the committee include not only knowledge management, but also quality assurance of new proposed projects in the forest sector. In addition to the Forest Committee, there will also be a forest network, which will include a range of interested external stakeholders. ADB will be able to communicate its thinking on forestry and development through such a network. More important however, is that a well functioning network will ensure that ADB receives regular impulses from the outside. This will contribute to ensuring that ADB’s activities in forestry remain up to date and are reflective of priorities as expressed by national and regional stakeholders in Asia Pacific” (ADB 2002: 25). The Forest Network was to have been established in December 2002. “By December 2002, all existing ADB forestry projects which have more than two years of implementation remaining will have adjusted their planning to reflect alignment with the new forest policy” (ADB 2002: 26). “By December 2002, reassessment will have been made of pipeline forestry projects to determine their consistency with new forestry policy and where required proposed scope will have been adjusted in consultation with DMCs” (ADB 2002: 26). During 2003 information materials are to be composed and disseminated. The Bank accepted comments on its draft forest policy until August 2002. According to Javed Hussain Mir, “This working document is undergoing an internal review which we expect to complete by July 2003. We plan to post an updated version of the document on the above web site by August 2003” (Mir 2003). The Bank’s forest policy was planned to be completed by the end of 2002. What is the delay in implementing the Bank’s new forest policy? Has the ADB established a “Forest Committee” and a “Forest Network”? What are the terms of reference for these groups? “Several of the forest projects currently under implementation will still run for a number of years or will be extended due to delayed implementation. ADB will enter into a dialogue with the concerned executing and implementing agencies and other concerned stakeholders to determine whether and how ADB assistance for the forest sector in these projects can be modified, if appropriate, for revision of existing projects, so that these projects will also be in line with the new policy” (ADB 2002: 22). Has this taken place in any of the ADB’s current projects? If so who was the dialogue carried out, what were the changes to the projects and how has this been documented by the Bank? ADB (1995) “The Bank’s Policy on Forestry”, March 1995. Manila: Asian Development Bank. ADB (2002) “ADB Forest Policy: Forests for all and Forever”, Draft Working Paper. June 2002. Manila: Asian Development Bank. Bello, W. (2002) “Why Reform of the ADB is the Wrong Agenda”, manuscript. Fraser, A. (2000) Analysis and Review of ADB’s Portfolio and 1995 Policy on Forestry, Regional Study on Forest Policy and Institutional Reforms. Manila: Asian Development Bank. Leonard, R. and Kingkorn Narintarakul Na Ayutthaya (2002) Taking land from the poor, giving land to the rich. Watershed, Vol. 8, No. 2, November 2002 – February 2003: 14-25. Lohmann, L. (1994) “Incentives and Disincentives for Bank Staff and Other Institutional Matters”, manuscript. Mir, J.H. (2002) “Regional Study on Forest Policy and Institutional Reforms”, Presentation at Regional Study on Forest Policy and Institutional Reforms and Regional Workshop on the Review of ADB Forest Policy, 14-15 February 2002. Manila: Asian Development Bank. Mir, J.H. 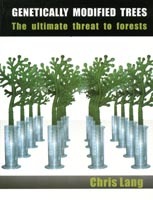 (2003) “Re: Forest policy review”, e-mail to Rod Harbinson, Friends of the Earth International, 28 April 2003. Pingkaew Laungaramsri (2001) Redefining Nature: Karen Ecological Knowledge and the Challenge to the Modern Conservation Paradigm. Chennai: Earthworm Books. Urooj Malik (2000) Interview with Chris Lang, 3 May 2000, ADB Cambodian Resident Mission, Phnom Penh. In 1998, the ADB had started preparation work for a community forest project in Cambodia. However, according to Urooj Malik, the ADB resident representative in Cambodia, “the Ministry of Finance didn’t want to borrow money for a project on community forestry. So, after certain discussions, we reallocated the funds and made this into what we call an advisory technical assistance rather than a project preparatory technical assistance, for a forest concessions review process” (Urooj Malik 2000). The ADB is owned by its 61 member governments (44 from the Asia Pacific region and 17 from outside the region). Each member government’s share of voting power within the Bank is determined by how much money they commit to the Bank. The two largest shareholders are Japan and the USA.